JOURNEY OF A BOTTLE. Coca-Cola FEMSA Philippines lets us in on what goes into every bottle of their world-famous soft drink. Ever wonder what goes on behind every bottle of Coca-Cola you drink? 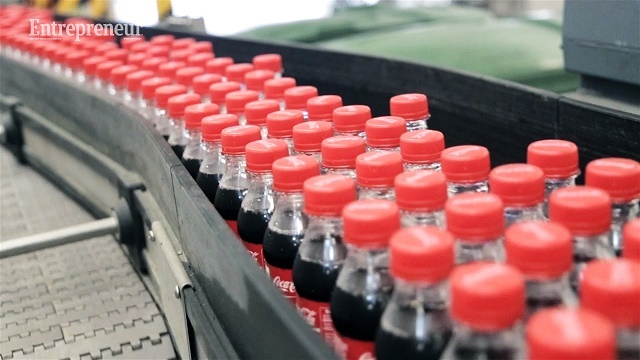 Coca-Cola FEMSA Philippines lets Entrepreneur.com.ph in inside two of its manufacturing plants in Laguna to share the journey of a bottle. Coca-Cola FEMSA is the largest franchise bottler of Coca-Cola products in the world, and its history in the Philippines began in January 2013 when it acquired 51% of Coca-Cola Bottlers Philippines, Inc. from The Coca-Cola Company. “The value chain starts with the people who grow sugar, then the people who create our PET (polyethylene terephthalate) bottles, our labels, and our bottle caps. Then, all of that goes into our plants. We have 19 manufacturing plants across the country,” shared Juan Dominguez, corporate affairs director at Coca-Cola FEMSA Philippines. BOTTLED UP. Coca-Cola FEMSA produces 12 product lines in returnable glass bottles, and 61 product lines in non-returnable PET bottles. The biggest facility is in Sta. Rosa, Laguna at 32 hectares, eight hectares of which is allotted for the highway, with total assets amounting to P4.3 billion ($86 million). The Sta. Rosa plant was opened in 1990, and it currently has 732 regular employees. Coca-Cola FEMSA has around 10,000 employees all over the Philippines. 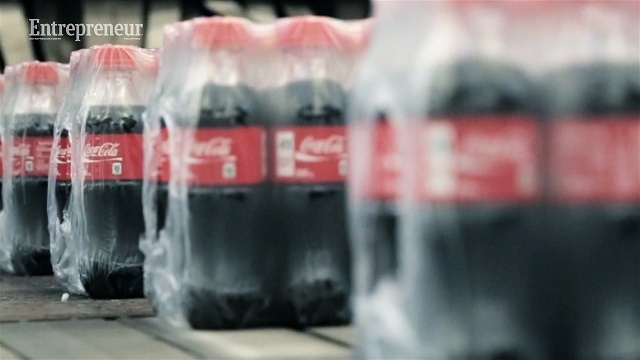 Coca-Cola FEMSA produces 12 product lines in returnable glass bottles, and 61 product lines in non-returnable PET bottles. “Once the products are produced and all of the quality processes are completed, the bottles are ready to go into a distribution center,” added Dominguez. The company has around 50 distribution centers all over the country, which are then connected to 60 sales offices. These sales offices then connect to a network of over 24,000 retail outlets, which includes supermarkets and convenience stores, and over 800,000 sari-sari (variety) stores and food outlets (carinderia). “What's interesting is how many people and how much value is involved in each of these bottles—for every single direct employee, there's around 15 people that directly benefit from our industry and from our business,” said Dominguez. ROLL OUT. Coca-Cola products find their way into 24,000 retail outlets, which includes supermarkets and convenience stores, and over 800,000 sari-sari (variety) stores and food outlets (carinderia) all over the Philippines. Aside from employment opportunities, the company also helps locals by giving them a leg up on starting their own business, shared Marvin Ornubia, a sales executive at Coca-Cola FEMSA, Canlubang, Laguna. “When we partner withsari-sari store owners or carinderia (eatery) owners, we help them grow their businesses by providing them tables and chairs, electric coolers, and signages,” he added. One of their partners is Carmencita Pabrua, an eatery owner in Canlubang, Laguna who was able to further grow her business with the help of Coca-Cola FEMSA. Pabrua used to be a cook in another eatery until she decided to start her own food business. Aside from the fact that locals love her cooking, Pabrua admitted that having the Coca-Cola branded coolers in her store enticed more customers. “They really want to pair their meals with a soft drink,” she added. Add to that the signage, tables, and chairs that Coca-Cola FEMSA provided, Pabrua was not only able to increase her profit but was also able to increase the size of her eatery, making way for more customers. “I started with a really small space. With the help of Coca-Cola FEMSA, I was able to double the profit of my eatery,” Pabrua shared.